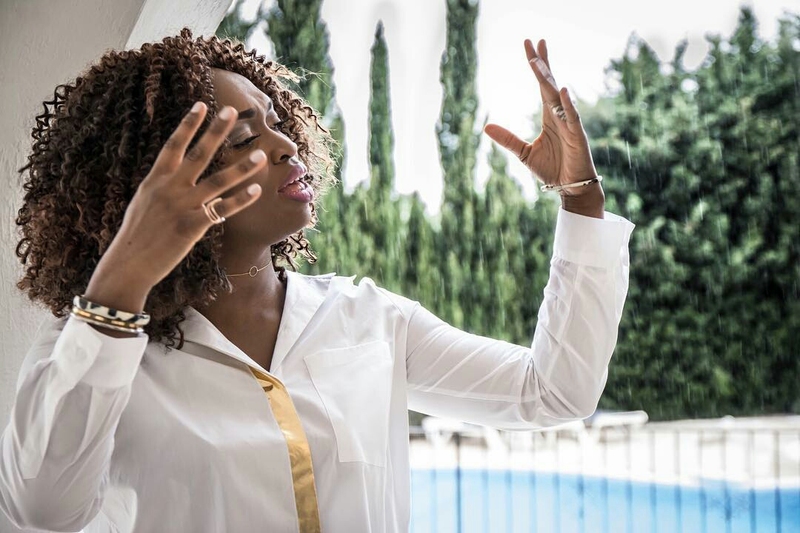 Following the success of her 2017 releases, including chart topping “Baba Dey” and the summer hit, “Turning Around”, award winning UK Gospel Artiste, Hannah Ola opens up the New Year with “Rain”, released on 1.1.18. Produced by Elvis E, “Rain” offers calm soothing ambience that is perfect for prayerful reflection that characterises the start of a New Year for many, Christians or otherwise. The stunning visuals directed by Uvi Orogun, capture the beauty of this timeless spirit-filled piece. Indeed, the hire crew for the video shoot began requesting copies of the song upon hearing it on the day! “Rain” is metaphorical for open heavens and divine experiences with God. In a hurting world the song lyrics speak of healing. Hannah’s heartfelt prayer is that “Rain” refreshes the soul of each listener, and sets an atmosphere conducive for the flow of God’s healing upon all lives, homes and families throughout the UK and globally.